If we talk about wood acoustic insulation, inevitably we need to analyze what happens along the façades and roofs of a building built in the much re-evaluated material. The façade envelope must traditionally meet energy needs. This implies that it is necessary to find the right balance between materials and stratigraphy that are optimal both from an acoustic point of view and from a thermal point of view. Structures with wooden beam and wood floor slabs are usually used in ground or inter-floor, while those with crosslam prefabricated beams and beams and crosslam wood are also used as a vertical outer casing. When it is necessary to guarantee a wood acoustic insulation, in the structures, very often one of the requests is to keep the thicknesses of the various stratigraphy contained; for this reason the soundproofing characteristics must be achieved by the combination of materials that also have thermal insulation characteristics (for example mineral wool, synthetic or natural fibers). The opposite is not true. For example, closed-cell materials, which would be thermally optimal (such as polyurethanes or expanded polystyrenes, etc.) 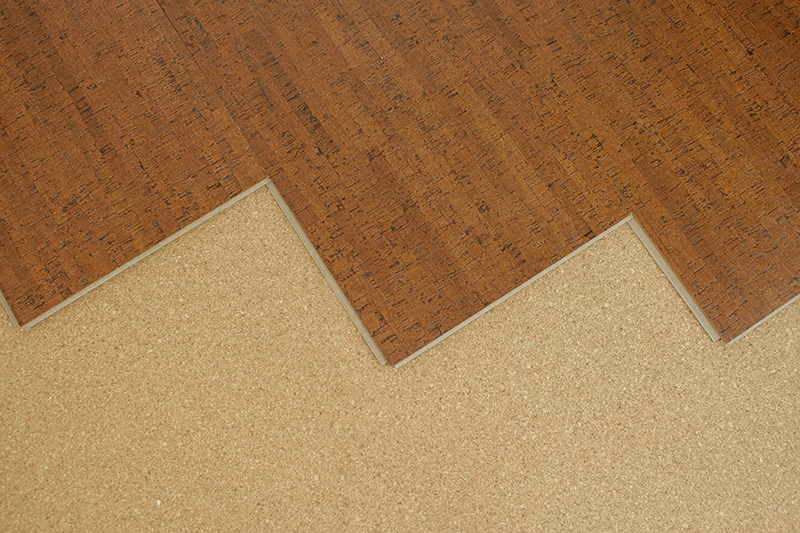 do not allow the role of open-cell sound-absorbing materials to be replaced. Rather, it is better to think of a combination of the two types of materials (for example, using sound-absorbing materials in internal cavities and heat-insulating materials as an external covering) to the detriment of the greater thicknesses required. The external walls and roofs provided for dormers must then combine their requirement with the soundproofing characteristics of the fixtures (glass + window). The correct installation condition of these elements, that is the attachment of the frame to the wall or roof, plays a fundamental role for the successful completion of the acoustic insulation of the entire façade wall. This is particularly important also for thermal purposes and an obstacle to rain infiltration. For this reason, most of the wooden house manufacturers prefer to deliver the wall to the construction site with the already mounted window or mount it in place under strict control conditions. The assembly is thus more accurate and precise, above all thanks to the use of expanding foams together with the taping process to guarantee air tightness, both externally and internally, hence the wood acoustic insulation. The wall thicknesses and the project energy performances are such as to favor glasses with triple plate and double chamber stratigraphy. The acoustic insulation of the frame therefore generically generates performances that, depending on the frame that they accompany, are around already very high values. The risk involved in the design approach is to incur losses that could compromise the wood’s acoustic insulation. The first good design rule to contain the losses of wood acoustic insulation due to the lateral transmission paths between the structures is to interrupt the constructive elements between one part and the other of the partition (horizontal or vertical); obviously, this accuracy is valid unless structural needs are associated with wind forces, earthquake, etc. One of the most important factors for determining the extent of the transmission paths due, for example, to the horizontal wall-to-ceiling interaction is the orientation of the wooden axes or beams with respect to the dividing wall (parallel or perpendicular to the wall). The type of cladding used (single sheet of gypsum coated rather than double slab) assumes importance in the transmission of horizontal or diagonal type (rooms side by side) rather than vertical (overlapping rooms). In any case, the assembly of a single slab on anti-vibration mounts is to be preferred over the assembly of a double slab on rigid profiles. For this last geometry the choice of the partition’s surface package assumes a predominant role on the reduction of lateral transmissions; it is the mass of the superstructure to further reduce the contribution of lateral transmissions with respect to airborne noise (especially at low frequency); on the other hand, it is the resilient property of a surface coating or of a material that allows the reduction of the contribution of lateral transmissions to the tread noise. Diagonal separated rooms: The dominant side path is configured inside the attic of the upper room and continues in the room below. Considering that the path through the floor is in any case dominant, it follows that the increase in mass relative to the elements that make up the surface finish of the floor leads to greater benefits compared to the increase in the number of cladding slabs on the walls. The coating of the walls is more effective the more it is made in a way that is free from the base wall. The role of losses by lateral transmission depends on the initial performance of the base wall; therefore, the greater the value of air separation of the starting dividing partition, the greater the amount of lateral transmission will be, given the same lateral structures. Use false ceilings with the aid of anti-vibration hangers.